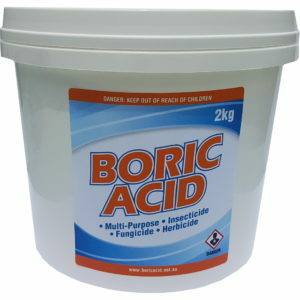 One of the most common questions we receive from our customers is “Can boric acid be use on timber to guard against termites”? I didn’t have a definitive answer so I thought I’d do some research. There are a literally hundreds of guides on the Internet which all sort of say the same thing. It’s all quite confusing. But essentially you mix up a boric acid solution and apply it to the wood. This would essentially kill off any would be trouble makers. But something about that really concerned me. The termites have to actually eat the wood to get the boric acid. Doesn’t this defeat the purpose? It does. But the process of treating wood with a boric acid solution is only one line of defence of many against termites. The last line of defence in fact. So you’ll need to employ other strategies to ensure you have proper protection against termites. 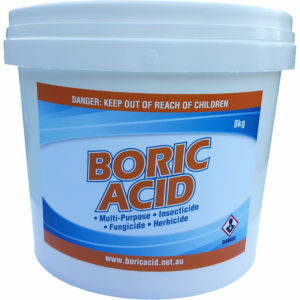 So how does boric acid guard your timber? 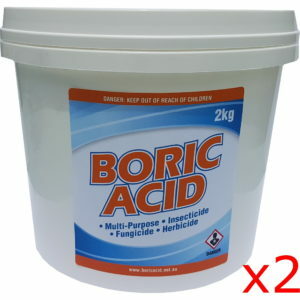 Boric acid has two weapons in its armour against termites. The first works is that boric acid itself is lethal to termites in the same was as it is to ants. When the termites start to gnaw on the wood they ingest the boric acid and it kills them. The second is not so obvious. Termites have a unique ability to break down cellulose, the main component of wood. In their gut and digestive tract they have microbes and bacteria which digest cellulose into simpler compounds which they use for food. 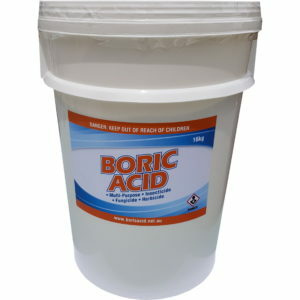 Due to boric acid’s anti-bacterial properties it disrupts this digestive process removing the termites energy source which eventually kills them. 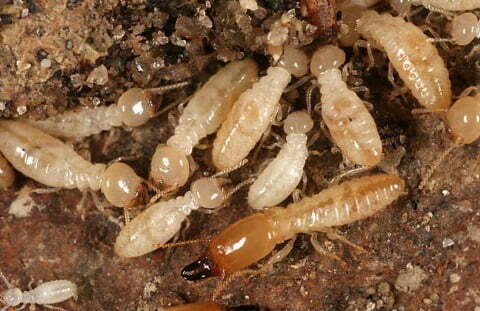 Some termites in Africa first break down the wood into a fungus before consuming it. 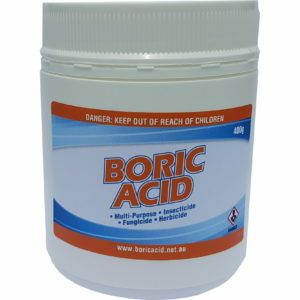 The anti-fungal properties of boric acid also stop this process in its tracks. This isn’t that relevant to our Australian variety but nevertheless demonstrates how effective boric acid is on termites. So how do you treat timber with boric acid? Here’s the guide we’ve put together. Pour the 1 litre of propylene glycol into the saucepan. Dissolve about 180 grams of boric acid in the propylene glycol at 25 degrees. Keep adding boric acid until it doesn’t dissolve any more or begins re-crystallises. That way you know you have a saturated solution. You can dissolve even more if you warm the mixture on the stove. 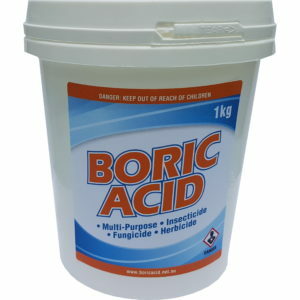 The more boric acid, the better. The solution can be stored in this form. Before you use the solution, dilute it further with equal parts water. E.g. If you pour out 200ml of the solution into the bowl, add 200ml of water. Apply a thick coating all over the wood with a large brush. As we said earlier, this is only one line of defence in an overall strategy against termites. You’ll still need to remove food sources, plug any water leaks, fill cracks, keep areas dry, and a host of other things.